I know I write a little bit of something for nearly every issue, but I greatly enjoy Mineshaft. I admire its unlikely existence and each issue seems to have a few more accomplished comics and/or sketches by members of the underground school -- both the original crew, and their generational successors. 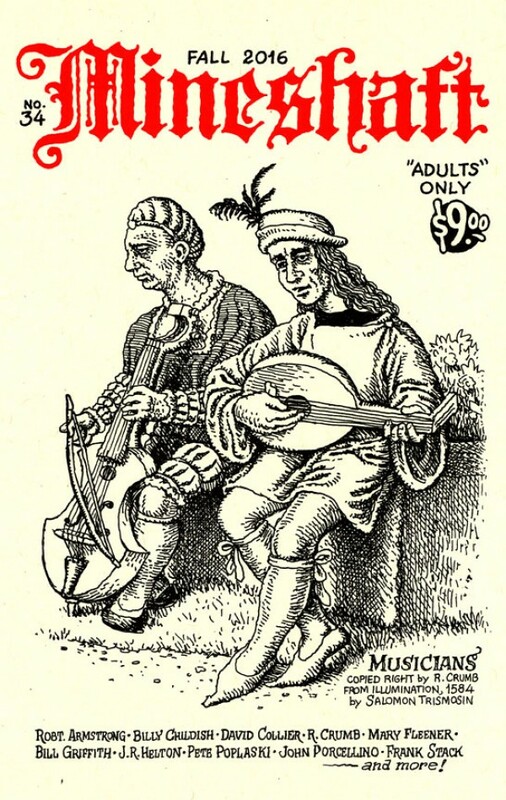 This one has fun work from Mary Fleener, Peter Poplaski, John Porcellino and the usual dash of Robert Crumb. I wish every tradition in comics had a similar publication.